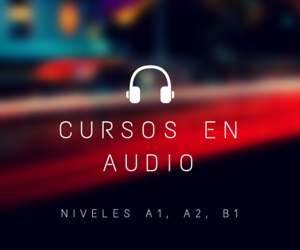 C: Hello and welcome to episode four of Aprender inglés con Reza y Craig. And here with me as usual is Reza, how are you today Reza? R: I’m fine, and you? C: Yeah! I’m feeling happy, feeling good, and ready to go. What grammar, gramática, do you have this episode? R: I thought I would be good to look at the present perfect today, because last time we looked at the past simple, and they can be easily confused, so let’s deal with the present perfect today. R: Pretérito perfecto. Let me ask you a few things Craig while practice the present perfect, what have you done today so far? C: I’ve had tree or four cups of coffee, I had breakfast, I’ve prepared the notes for this podcast, and I’ve done some work on a video that I’m editing. R: Oh really? How long have you been working on this video? C: I started about three days ago, so I’ve been yeah, I’ve been working on this video for three days. R: So, you haven’t finished yet? C: No, I haven’t finished yet. R: You started in the past but you are still working on it now. C: Is work in progress. Trabajo corriente. R: Hmm, so that’s why you are using there the present perfect continuous. It started in the past, and it is still continuing now, is not finished. He has been working on his video. Ok, Craig have you had lunch yet? C: No I haven’t. Not yet. It’s eleven o’clock, so is a bit too early to have lunch. I haven’t had lunch. R: Have you done the shopping yet? C: No, I haven’t had time to do the shopping. R: The other day Craig, you told me you were a big Mickey Mouse fan. R: Oh god!, you really are a fan, aren’t you? R: Ok, so, the question you’re going to ask every big Mickey Mouse fan, have you ever been to Disneyland? C: No, I haven’t, I haven’t. R: Never? You’ve never been? C: I haven’t been to Disneyland, have you? R: I haven’t no, would you like to go? C: Aaahh, I think probably I am fifty years old, I may have missed the bus on that one. R: You had your chance and it’s over now, right? C: I haven’t been to Disneyland. C: Have you been to America? R: I have, I have, I’ve been in the state of Maine in the north east of America. C: I haven’t been to Maine, I’ve been to a couple of places in North America but I haven’t been to Maine. R: Have you seen the Great Canyon? C: I haven’t seen the Great Canyon. R: And where have you been in Spain outside Valencia? C: I’ve been to Barcelona several times, I love Barcelona, I’ve been to Madrid, once or twice, I’ve been to the south, I obviously have been to Sevilla, I’ve been to Cordoba, I’ve been to Almería, I’ve been to Alicante. R: You’ve been around a bit. C: And I’ve been to Bilbao. R: Ok, so, you’ve been travel a lot Craig, on your travels, have you ever seen anything really crazy, very strange on your travels? R: Anytime in your life. C: I’ve seen somebody in India carrying many things on a bicycle, very high, carrying furniture, carrying food, big bags, and food and grain, a ridiculous amount of things on a bicycle, things that you need a truck or a lorry to carry, so I thought that was very strange. R: Have you ever done anything crazy, or have you ever done anything that you regret it Craig? R: Regret, arrepentirse. What have you done that you regret it? C: Well, not many I would like to talk about on the podcast. R: I see, like that. C: But I have done some things that I regretted. Have you ever play the game called Oneupmanship? R: Well I know what Oneupmanship is but I’ve never played the game. C: Have you ever been to China? C: Have you ever eaten Japanese food? R: Yes I have, but I haven’t been to Japan like you. I know you did. I know you have. C: Have you ever been to Rome? R: But have you ever try my mum’s scones? R: Oh you lucky fellow! Because they are the best of the world as you know! C: You brought me some last time you went, few years ago. Have you ever ridden a camel? C: I have. All of these examples off course are present perfect. R: This is Oneupmanship then yes? You are getting one up on me. You have done things that I haven’t. R: I see. Do you thing we’ve done enough, present perfect for now? R: I don’t want to bore the listeners, because in the next episode we’ll be going over the present perfect again to compare it with the past simple, which we did, we did, that’s past simple, last time. C: What does go over mean? R: Go over means revise, check to make sure everything is ok.
R: yes. Just to remind everybody there, last time we did the past simple, we did, lo hicimos, finished, that was in the past. Now I can say that just now we have done, we have done, hemos hecho, that’s present perfect, the present perfect. And I say we have done, because is recently, or its just finishing now, o there is a connection with now, that’s present perfect. So, that will do for now. Next week we will compare the two. Over to you Craig. C: Esleepers. And I realize that Spanish speakers sometimes have a problem with the sound “S” /s/, at the beginning of words in English. For example Spain. Spain, many people, obviously in Spanish it’s España, because it has the /e/ at the beginning, but even when Spanish speakers say Spain in English, they put an /e/ at the beginning. I’m from Espain. No! I’m from Spain. I’m Spanish, not Espanish. Other problems: special, for example, Especial, no! I’m special, it’s a special day. Estop. R: Oh yeah! Estop, I heart that many times. C: Spelling, Espelling. Stomach, which in Spanish is estómago, so stomach does not have an /e/. R: Can I just tell you something Craig? R: Sorry to interrupt you, but my favorite mispronunciation ever from a Spanish student was the word stomachache. Stomachache, dolor del estómago. They say the “E” at the beginning and they pronounce it just as it were Spanish, so they say Estomachache. Brilliant. R: I digress, I’m sorry! C:… of our wonderful students at the school. So yeah, try to remember a snake, a snake, the sound of a snake makes is /sssss/, so just keep in mind, remember that words beginning with “S” do not have the “E” in front of them. Also, another sound to look at is the sound /je/, which occurs in some words in English. For example, television, televi/je/n, is a /je/ like if you speak French, you say /je/ Je suis, that’s the sound you have in some words like television, and pleasure, and leasure, and measure, medir, measure. Do you say that sound when you speak English? C: Treasure, tesoro, treasure is another one, so /je/. C: Do you have a phrasal verb for us this episode? R: I do, I do. Do you remember that the phrasal verb in the last episode was get on? And I told you I’ve have been a bit unlucky with the buses, I couldn’t get on the bus, subir al autobus the other day because it was full, and the driver said no! fully sorry, you can’t get on. Well, a couple of days after that, I had to get off a bus before my stop, because it broke down. R: It broke down, se estropeo, the engine wouldn’t work anymore. So I had to get off the bus early, so get off is the phrasal verb for today. One of the meanings of get off is the opposite of get on a vehicle, subir, get on the bus, get off, bajar del autobús. So you can get off a bus, get off a plane, a train, a ship, a tram, etc, even a camel, as you said last time…and a bike. R: And a motorbike, but if you remember, not for a car or taxi, not for a car or taxi. For a taxi and car it would be get out of , but for just about everything else, the opposite of get on is get off. C: And also some phrasal verbs very often have more than one meanings, sorry, some phrasal verbs have more than one meaning, so apart from this meaning of physically get off something, is there another meaning to get off ? R: Yeah, there are few, let’s talk about something topical. You know these days in Spanish news, there is never ending stories of corrupt politicians. C: Really? I haven’t noticed. R: You’ve been sarcastic I presume. C: English sarcasm, I haven’t notice. R: There seem to be three stories a day about corrupt politicians, we don’t even get any…we don’t even get surprised anymore. That day always seem to get off without any punishment. No matter what they done, not matter what they’ve stolen, no matter what they’ve done or they shouldn’t have …or haven’t done that they should have.-.etc, they never seem to give the punishment they deserved, they get off with it, get off, escaparse sin castigo. C: Do you know if Mr Bárcenas has got off with the charges against him? R: I don’t know, I think that case hasn’t been resolved yet, but I wouldn’t be surprised if he got off with any punishment at all. So that’s another meaning of get off. Now Craig, another funnier meaning of get off , well, funny for the listeners, perhaps not so funny for me…you remember that really attractive girl we saw in that cafe yesterday? The really good looking one? R: Well, after you left, I tried to get off with her. C: I mean you tried to get her phone number or…? R: Yeah…a bit more than that, that’s a start though, to get off with someone is slang colloquial English would be to have an amorous encounter. In Spanish, ligar, ligar, quería ligarla, quería ligarla, I wanted to get off with her. But you can imagine Craig, she told me to get lost. I never succeed! R: Yeah, I don’t know why I bother; I don’t know why I bother Craig. C: On a similar subject we had a question from Calicho Joa Vivas Prado, from Monóvar last week, and he asked about to be off. The expression to be off. I am off. I must be off, which in Spanish tengo que marcharme, to be off. I must be off , its getting late, tengo que irme, tengo que marcharme. I’m off now, I’m going, I’m leaving. So just to be off means I’m leaving. And there is another meaning of to be off, caducado. This milk’s off, the milk was out of the fridge, is bad, está caducado. To go off, that fish will go off if you don’t put it in the fridge. 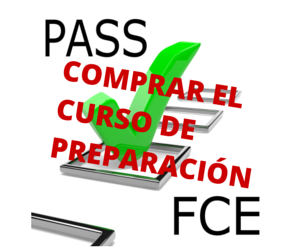 C: Thank you for that question Calicho, and if you have more questions about anything connected to English, just ask the question on Facebook or send us an e-mail to mansionteachers@yahoo.es. C: Reza do you have a tip for us this episode? R: Yes. 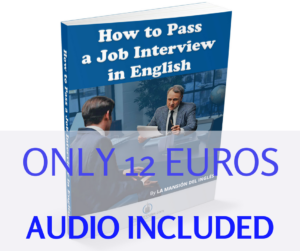 My tip is for people who are a bit nervous about having to speak to a native speaker in English. C: That’s how I felt when I first started learning Spanish, I was very nervous at using my bad Spanish with a native Spanish speaker, I totally understand. R: Well, if you got time to prepare a little bit, you could think of questions to ask someone, and a good way to prepare a little bit before you start a conversation, is to think of question words, so let’s say for example, you are gonna meet an English speaker and you have to speak about …what you do at work, for example. Well, you could think ok work…think of question words, question words, where, why, when, who, how, which, etc. Do you know? Dónde, quién, cómo, etc. C: That’s interesting because I’m doing something similar when I speak on the phone in Spanish, I think of the questions I have to ask, and may be on the phone I might write some notes, write down the information I need to ask, and I prepare, particularly, especially in my head, I prepare the conversation before I have it, and it helps me to have a conversation. C: What do you do…oh sorry! C: What do you do in a typical day? Yeah? R: What do you do in a typical day? C: Who do you work with? R: How long does it take you to type a hundred words? C: It takes me a long time. R: You do you work with? yeah! How many people work in your office? Haow many? Whatever! You can use question words to get you ready for a conversation, they can generate questions, so at least you get something in your head before the conversation starts. C: That’s a very good tip. And thank you very much to all of you for listening to this podcast and thank you very much Reza. C: So until the next episode, thank you for listening and if you want to look at the shortnotes, las notas de este episodio, you can find them on mansioningles.libsyn.com. Until next time, bye bye. I´m very glad to know your fantastic web, I´m improving really fast my terrible listening hear the both of you, I like your voices…. ha, ha, ha. Seriously, I need to read, and write and listen a B2 level of english to try to find some job ( if only) so, my goal it´s gonna be listen all your postcads duriong the next two weeks, after de taking care of my children. Go on with the postcads of Reza and Craig!!!! Thanks a lot. Thanks Analia. We’re really happy that you listen to us. Hola, hace mucho que no practico el inglés y me cuesta mucho. He descubierto vuestra pagina, y he empezado desde el capitulo primero. Me parece genial lo que haceis. Os escuchamos mi marido y yo y nos encanta. Hi Pilar. Thanks for your comment. We’re really pleased that you and your husband enjoy our podcast and we hope that you keep listening.